This tool is a collection of tools and integrations we’ve created and compiled to enhance the online experience in your course. 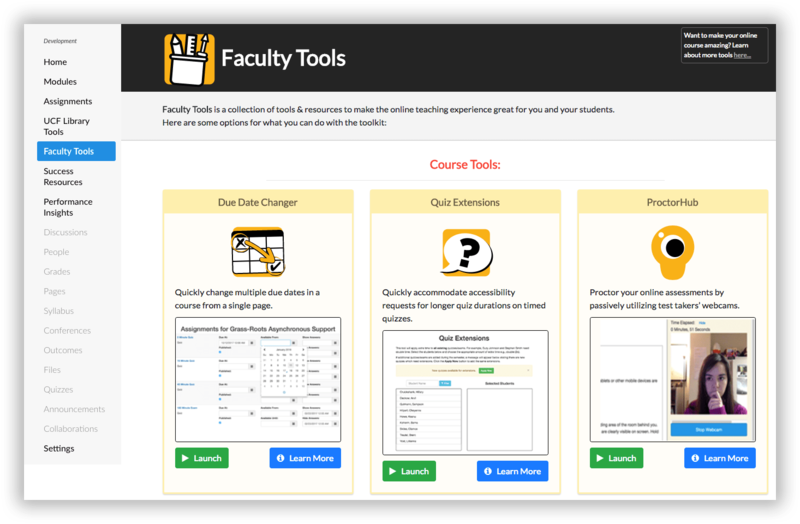 Some tools may be launched directly within the Faculty Tools interface. Students do not have access to the Faculty Tools integration. In the course navigation menu, click Faculty Tools. Locate the tool or integration you wish to use. Click Learn More to find out more about the tool, or click Launch to activate or use a particular tool, .